Well now that my annual post fair stocktake is over, listing of unsold Thame Fair stock can now begin. 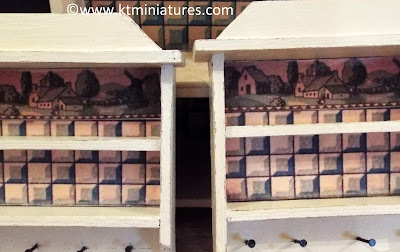 Yesterday a few of those newly created handmade items went up for sale on KT Miniatures website, and although there were not quite so many as usual, it had felt so brilliant to be creating again, as it's been a while since I was at my workbench! 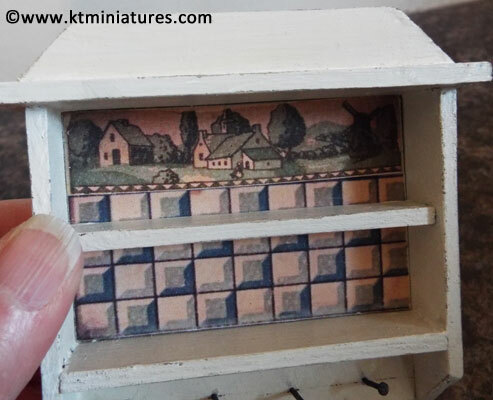 But before I start, I will show you a close up photo of one of the tiny handmade vignettes that was sold the other day. It did create quite some interest at the Thame Fair. 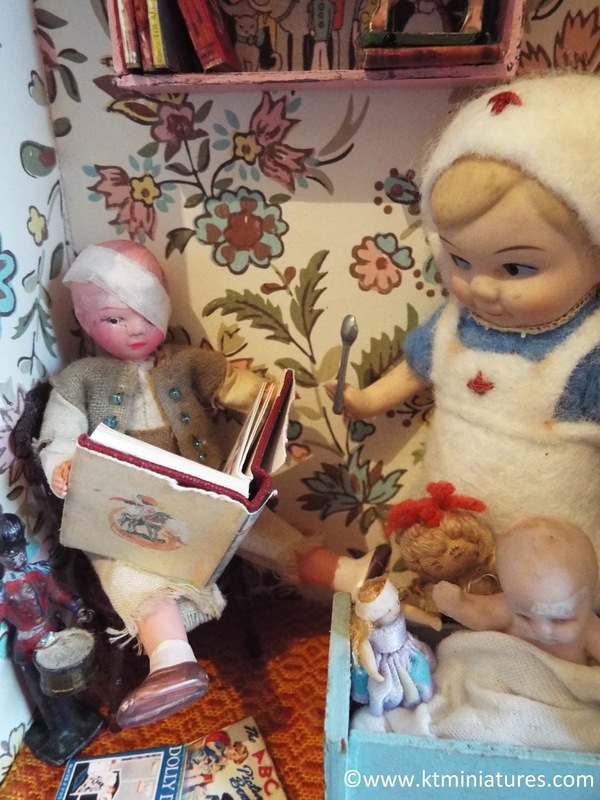 And here it is... Nurse Dolly And Her Friends. 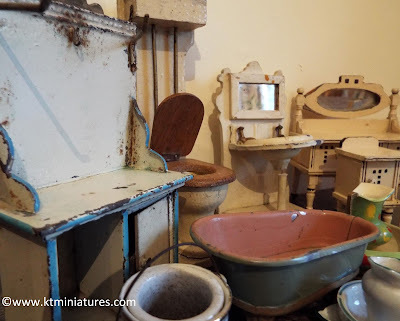 Many of the items fixed into this tiny scene were vintage and damaged in some way, so it was challenging but great fun to create. 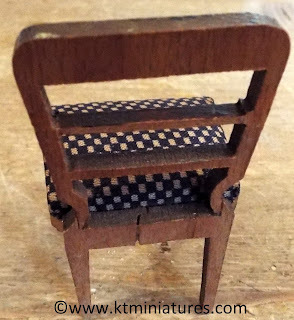 I used a tiny drawer from an old smoking cabinet that I'd had knocking around my workroom for many years, so wanted to do something unique with it. The vintage Japanese Googly eyed doll was completely naked so I created a simple nurse uniform based on the one my aunt had made me back in the early 1960s - except I used old felt instead of cotton material.What do you do with an old celluloid doll with a split head....well wrap a miniature bandage around it of course! 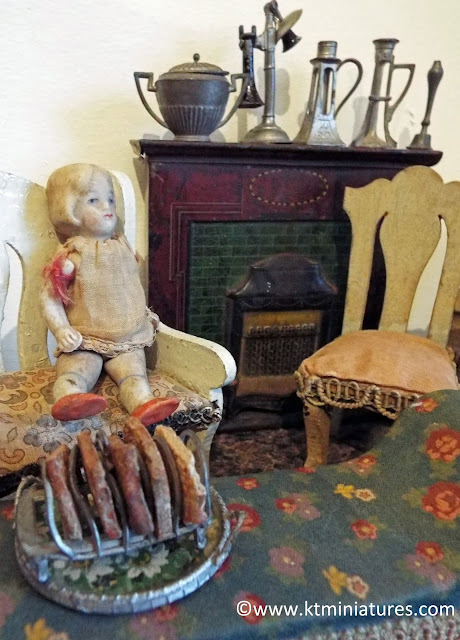 :) And what do you do with a late Victorian, early 1900s toy lead drummer soldier missing one arm....well you could stand him in the corner and let Nurse Dolly look after him! This little scene was snapped up by an enthusiastic buyer early on at Thame Fair, but I do have some other tiny framed 3D vignettes for sale. With the birth of my very first grandchild just a few weeks away now (exciting times ahead - yay), I have been pondering on nursery vignettes and pictures for several weeks. 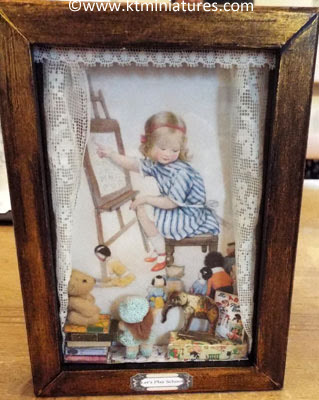 Anyway, one thing led to another and I hit on the idea of making nursery 3D pictures for grown ups....tapping into our own childhood nostalgia. The following two pictures are most definitely not suitable for children and should be kept well out of their reach, as not only is the glass hazardous to them but there are tiny items that could come adrift and therefore become hugely hazardous in young hands. 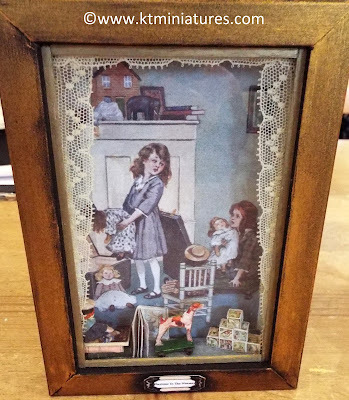 This is a gold painted shallow box frame, backed with an image from the page of a vintage children's book, edged with antique lace and the foreground filled with some of my own handmade items. Some of those KT Miniatures handmade items include a fixed arrangement of antique toy bricks, a 1930s colouring book, dog on wheels and some of my old books. The toy sailor has been artisan made but I have had it for so long tucked away in a box, that I have now forgotten who made it (apologies to the artisan)! 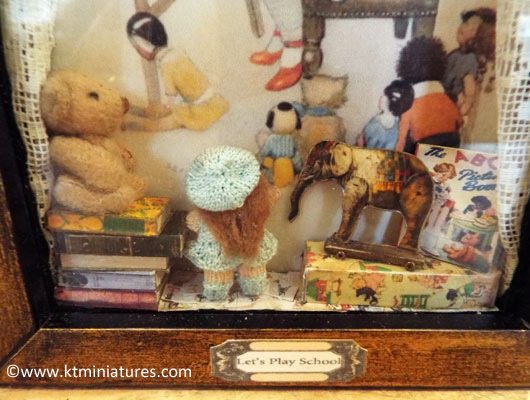 Anyhow, in this scene are more of my handmade books, toy elephant on wheels, decorative box, plus a commercially made teddy and an artisan knitted dolly (again, I have had this doll for so long I cannot remember where I got her either, so yet another apology to the unknown artisan). I created a smaller and slightly different version of this last year for Thame Fair. 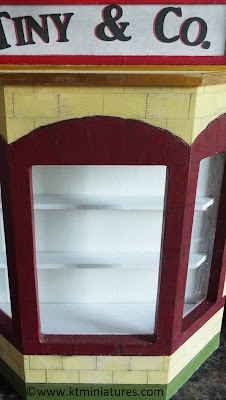 However, this time I have created a more chunky look that was based on my actual antique German dresser. 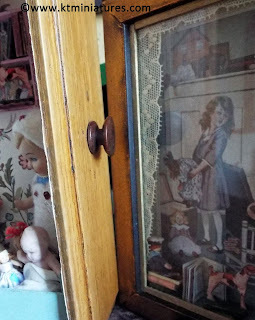 There is something about the old printed tiles and images that decorate the old tiny furniture (and old dolls houses) that I adore, and makes the hair stand up on the back of my neck. I suppose again, it is that old childhood nostalgic feeling. 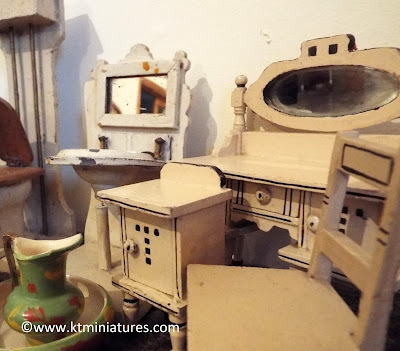 This has been based on the upper half of my old dolls house dresser and have added real life size tacks to hang utensils, etc. from, just like on the actual dresser. This, you have seen before. 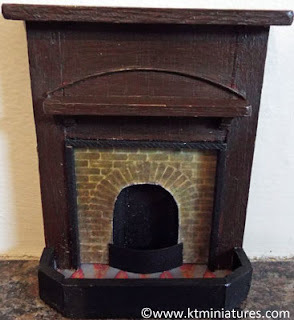 Last year I decided to create a replica of an antique German dolls house fireplace that I have had for years. I had been hoping to find one exactly like it so that I could have another for my old dolls house, but over the years one just hasn't ever turned up. So in the end I'd decided to make one. In fact the couple of spares sold out almost immediately last year, so I decided to create a couple more. Hence, here we are. The tiled cut out was a scanned reproduced image from the tiny German fireplace, so too the hearth. It has been a given dark finish with acrylics and am chuffed to bits with them. 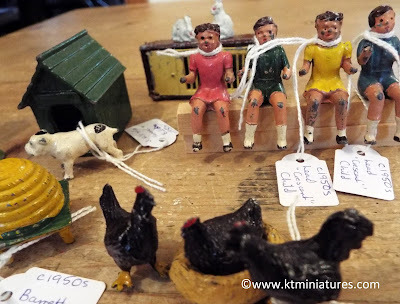 Over the next few days I will begin listing some of the antique and vintage unsold stock from the fair, so if you are interested, do keep a watch of the LATEST UPDATE sliding box at the foot of KT Miniatures Home Page. 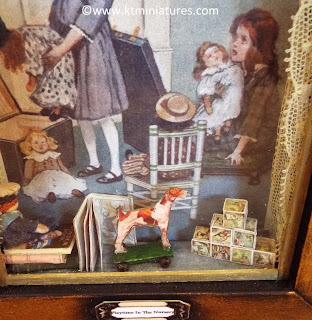 Well it looks like it is the end of yet another era in the life of the Thame Dolls House & Miniatures Fair. Last Saturday the present organisers of Thame Dolls House & Miniatures Fair - Ron & Felicity Holland, announced that it was to be their last and unless a new organiser is prepared to take it on, the event will be no more. I shall always be grateful to them for taking over the organisers mantle from Mr KT and myself a few years ago, at a difficult time when Mr KT had just been diagnosed with serious illness. But now Ron and Felicity wish to embark on lots of other activities in their retirement and the fair is no longer part of their future plans. 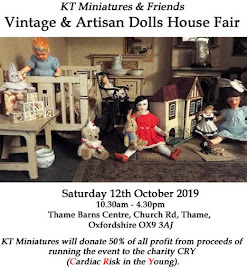 I am sure that many of you who have been to the Thame Dolls House Fair in recent times, would like to join me in wishing them well for the future. And let us hope that there is someone out there who is prepared to take over the event, otherwise it will be no more... and another main UK dolls house fair will bite the dust! For the well seasoned Thame Fair attendee, it was clearly apparent that attendance was down last Saturday compared to previous years. But I hope that those of you who did come, had a lovely time. I understand that the popular charity sales table and raffle raised an incredible £2314.11, which is a wonderful achievement, and huge credit must go to the team of brilliant volunteers who gave up their time freely as always to work tirelessly throughout the day. Having been away for a few days break directly after the fair, I am now back at my desk and undertaking the annual post fair stocktake. Once that is complete, I will embark on the usual listing of unsold stock from the fair, beginning with my handmade items. 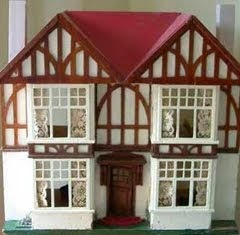 Thame Dolls House Fair This Saturday - Hope To See You There! Thame Dolls House & Miniatures Fair. 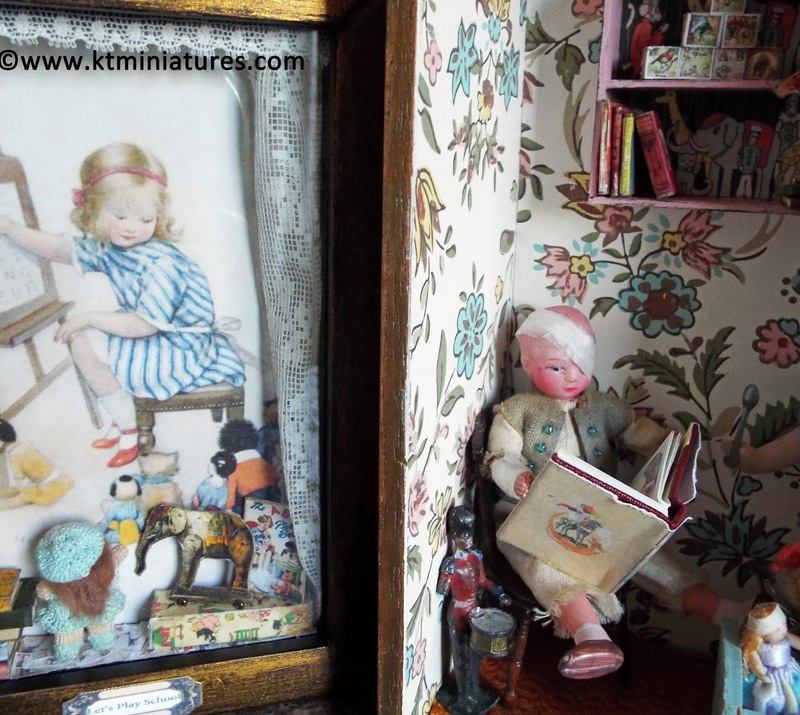 I will have on offer various handmade as well as numerous antique & vintage dolls house items. 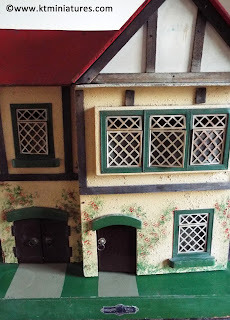 There will be at least two old dolls houses too (a c1950s Amersham and c1950s Tri-ang No. 60). Everything is to be sold on a first come, first serve basis and cannot be reserved before the event. Please note that I will not have the facility to accept credit or debit cards at the event, so it will have to be cash transactions only, although as usual cheque payment may be available to regular known customers. However, for all those of you who cannot come on Saturday, all unsold stock will be listed to KT Miniatures website later next week. 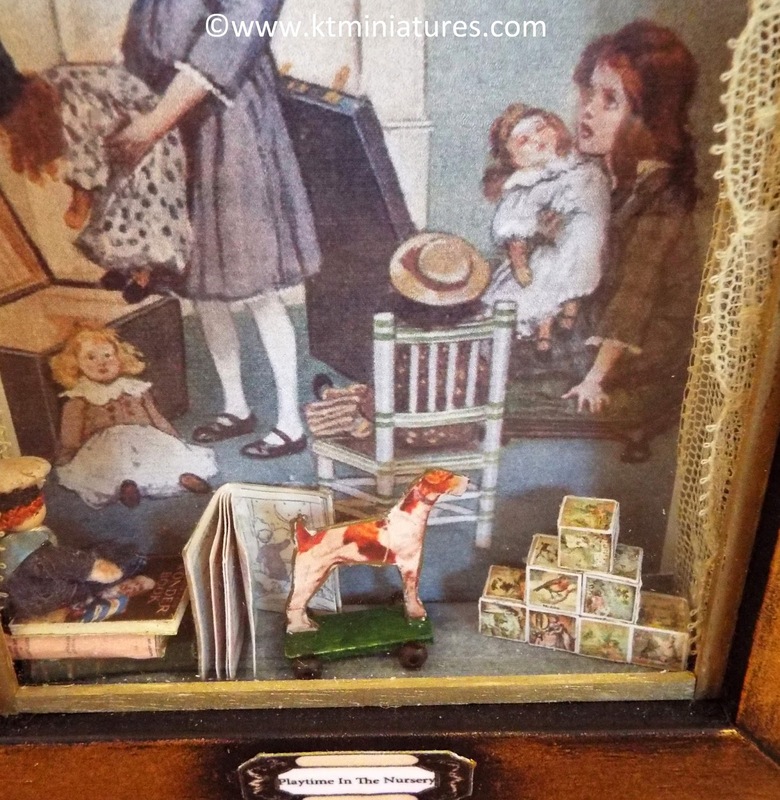 Vintage Style Toy & Co, Nurse Dolly & Friends Plus Other Framed 3D Vintage Style Pictures. 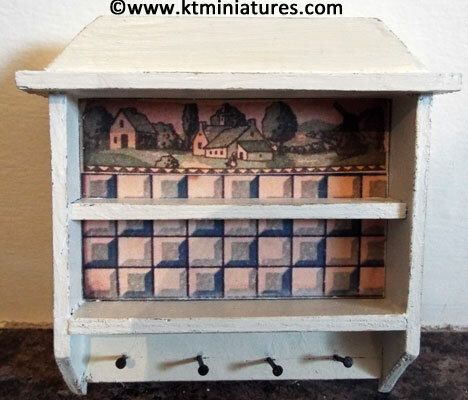 Vintage German Style Shelves With Replica Delft Style Papers Insipired By My Old Miniature German Dresser. 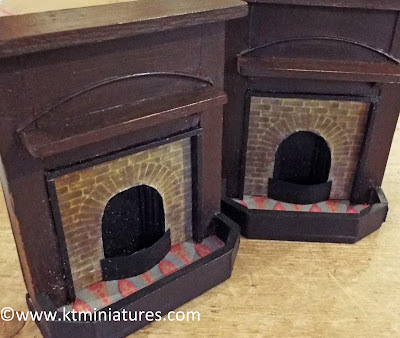 More Replica Early 1900s German Style Fireplaces Based On One From My Own Private Collection. 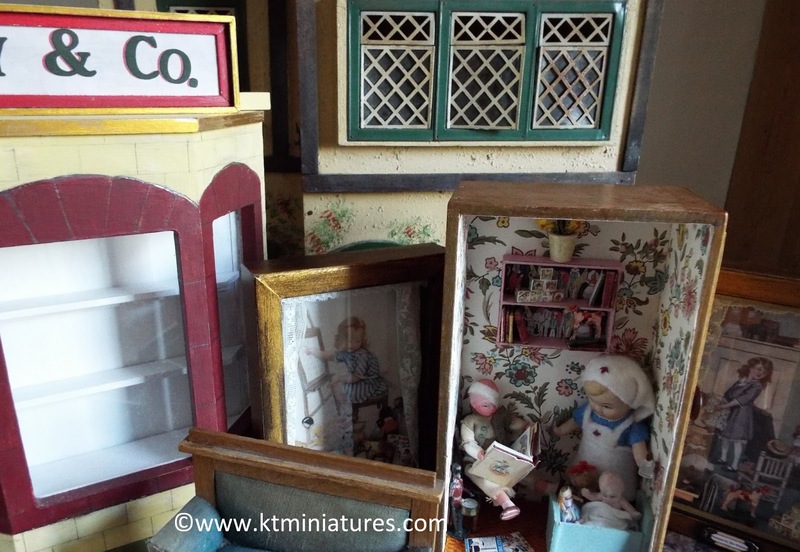 And Now A Peek At Some Of The Antique & Vintage Dolls House Miniatures That Will Also Be For Sale On My Stand At Saturday's Event. I hope these photos can tempt your miniature tastebuds! My Stand Is No.38 In The Main Hall. PS. My old retired mate from Coombe Crafts (and ex workshop colleague) Robin, will be helping in the morning...so should be loads of fun. Please do drop by the stand and say "hi", we would love to see you. 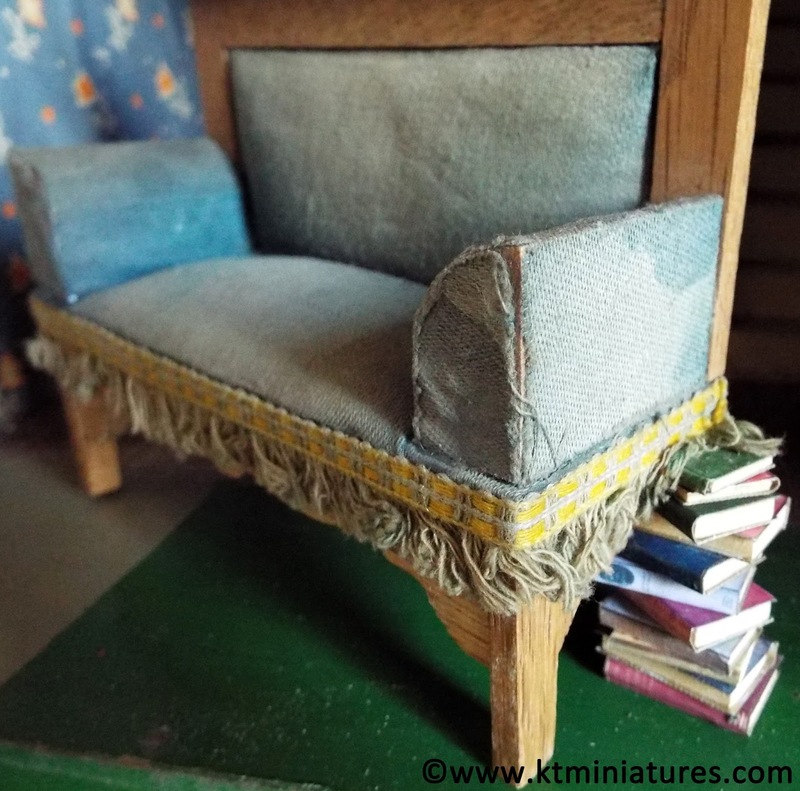 What Do You Do With A Broken Antique Dolls House Sofa & Dining Chair? 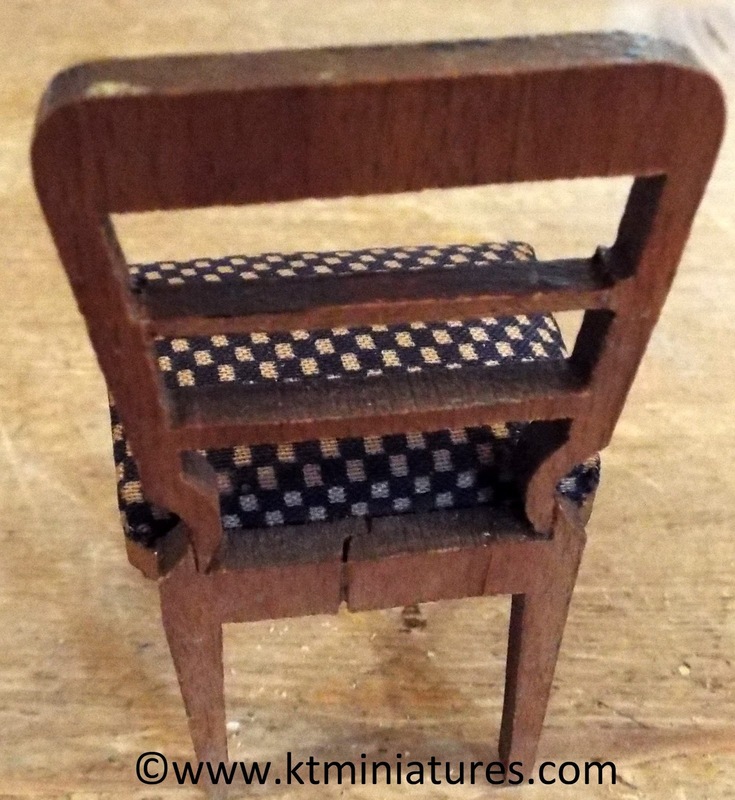 Whilst rummaging through stock, in preparation for next weeks Thame Dolls House & Miniatures Fair, I came across two broken antique miniature chairs that I had completely forgotten about. Both are extremely old, and both had a missing leg, plus one of them had a missing back strut too. 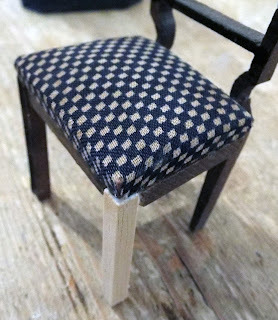 I never throw anything away and often try to mend broken pieces using components or wood from other "seconds" if I can. 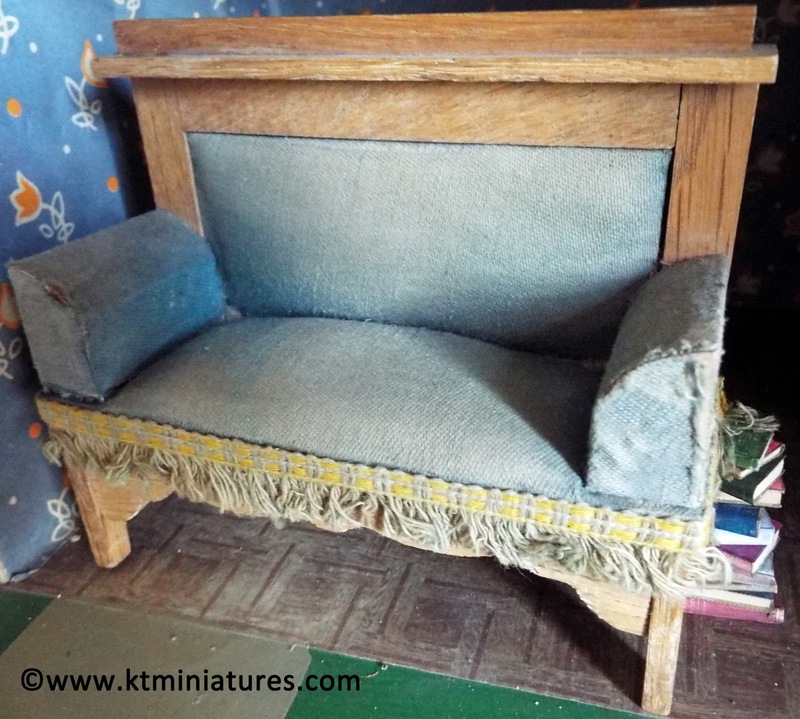 Some are more challenging than others - I hate giving up on pieces that have survived decades already, so if I am unable to mend them as such, I do try and make them into something beautiful if I can. So here was the first casualty....a circa 1920s/30s German upholstered dining chair. 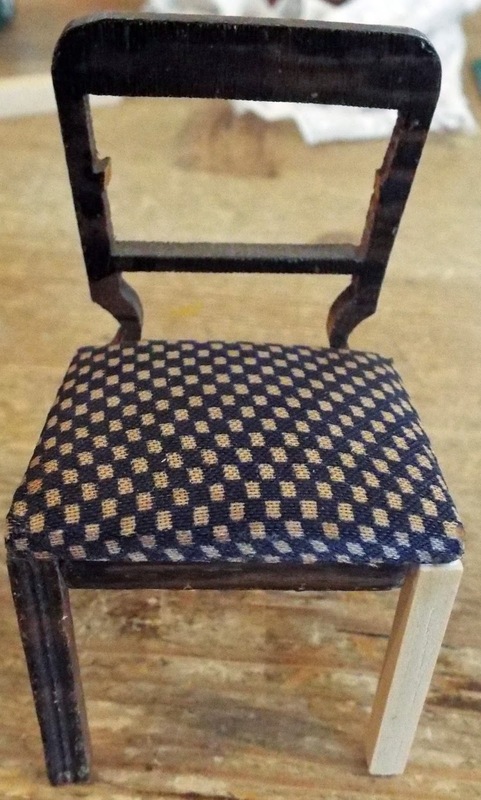 The right front leg was missing, so I replaced with a tiny scrap of wood, as near to the dimensions as the other front leg as possible. Also one of the fretwork back struts was completely missing too. This proved a little more tricky but eventually amongst my "Bit Box", I found some dark wood suitable. The other chair is a sofa and an extremely old one at that, probably German and from the early 1900s...mabye even late 1800s. How on earth could I give up on it!? 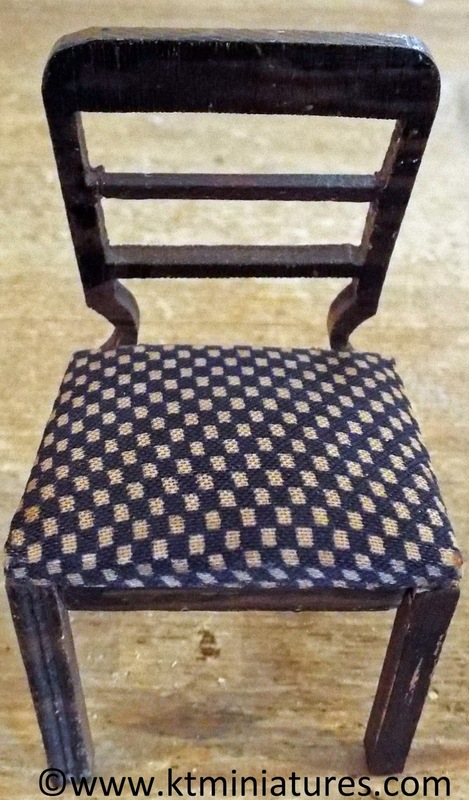 The back right leg and part of the side frame was missing - the damage was so bad that it would not even stand up! I decided any attempt on my part to replace the leg and missing frame could not be recreated very successfully. 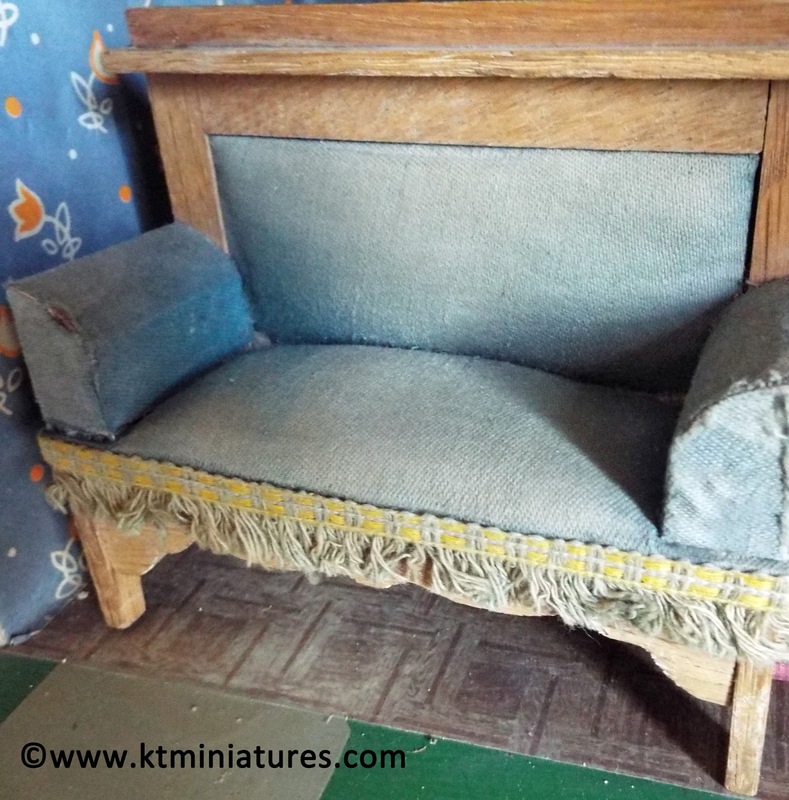 And although the upholstery is a little stained and rather worn, it was crying out to be loved once more! So after much head scratching, pondering and two cups of coffee later....this is what I came up with!! Yep, I glued a pile of my old style books together in a random pile and fixed it to the underside of the sofa where the leg should be. So now it stands up at least! However, yes it is quirky and not everyones "cup of tea" but I love it. Everytime I look at it now it just makes me smile. If anyone has an old dolls house library/ study, or even miniature front parlour with an eccentric inhabitant, this could be perfect for you! I have been busy at my workbench all week and more creations are beginning to emerge from my workroom, plus I am now compiling a selection of antique and vintage stock for next week's fair. 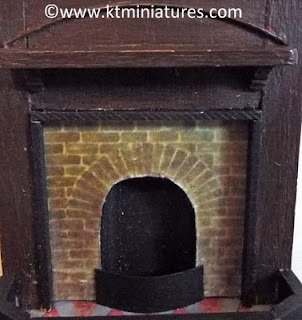 Very shortly I hope to have pics and some sort of list of stock that will be available to purchase off my KT Miniatures stand at next week's event. If you go to the official website of the event, you will see that there is a floor plan of exhibitors. 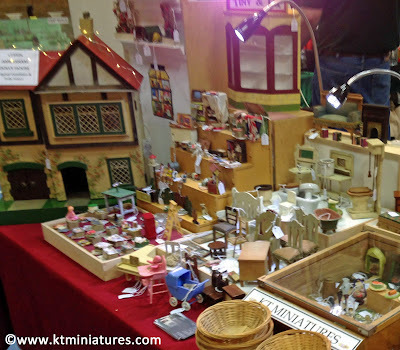 KT Miniatures is Stand No. 38. 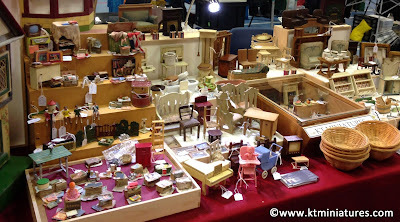 I have a single stand this year for obvious reasons, but am planning to fill that one stand to the brim with some rather lovely old and handmade miniature goodies. And I can now see that I am to be in my old retired mate Robin's "Coombe Crafts" usual spot..at right angles to my old usual double spot. It is going to feel very different this year but actually Robin, on the promise of alcohol, has agreed to come and give me a hand for a couple of hours in the morning :)! 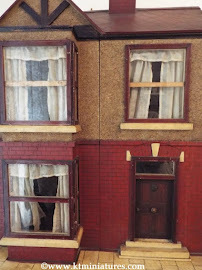 As the Thame Dolls House & Miniatures Fair is just two weeks away, I have had to get cracking with my miniature creating. 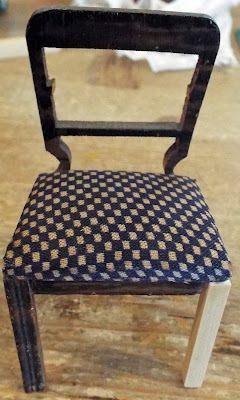 Emerging from my workshop after a couple of weeks at my workbench, I am delighted with the results. 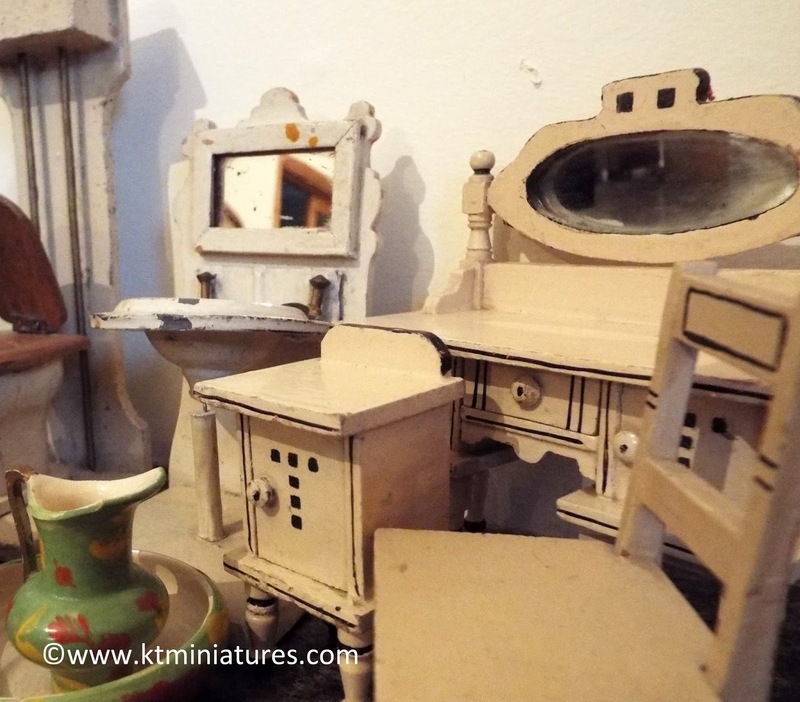 Tiny & Co. is something that I have wanted to make for a long time...a vintage style miniature shop with a distinctive KT Miniatures finish, loosely based on something that I saw in the Bethnal Green Museum. The new owner can fill the window with whatever they choose, as access is from the back. Although I have created many miniature scenes in the past, these are a little bit different, inspired by magical old book illustrations. All that you can see above plus lots more, including this Amersham dolls house, and many other wonderful antique and vintage miniatures too, will be available to purchase off my stand at Thame Dolls House Fair. The event is taking place at Thame Leisure Centre, Oxfordshire (UK) in just two weeks today. 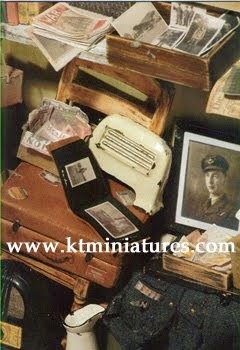 More specific details of what will be available on my stand will be put up in a few days time, so watch this space. I hope lots of you can come.